Croatia’s coastline is a thing of beauty. Its clear waters, stark blues and verdant shores paint a gushing picture of what paradise should be. The Croatian islands give us glamour, relaxation and memorable experiences all packed in to a neat little holiday box. 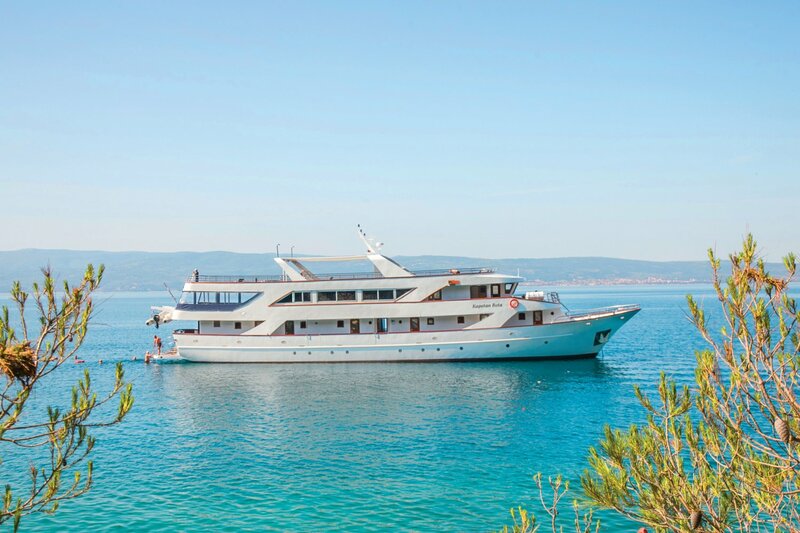 For luxury Croatia holidays you can’t go wrong with one of these ‘easy on the eyes’ islands. Hvar is Croatia’s answer to Spain’s Marbella and France’s St Tropez. Favoured by wealthy Croatians, luxury holiday enthusiasts and party goers. Hvar town is the prime spot for celebrity spotting, luxury yacht browsing and is packed with trendy restaurants, bars and shops. Hvar also has a friendly side with secluded beaches, vineyards, and verdant groves of wild lavender, olive trees and rosemary. Best time to visit Hvar: Like most of Croatia’s coast, Hvar enjoys long summers and mild winters, so you’ll experience warm temperatures as early as April and as late as November. For luxury family holidays July and August is king. 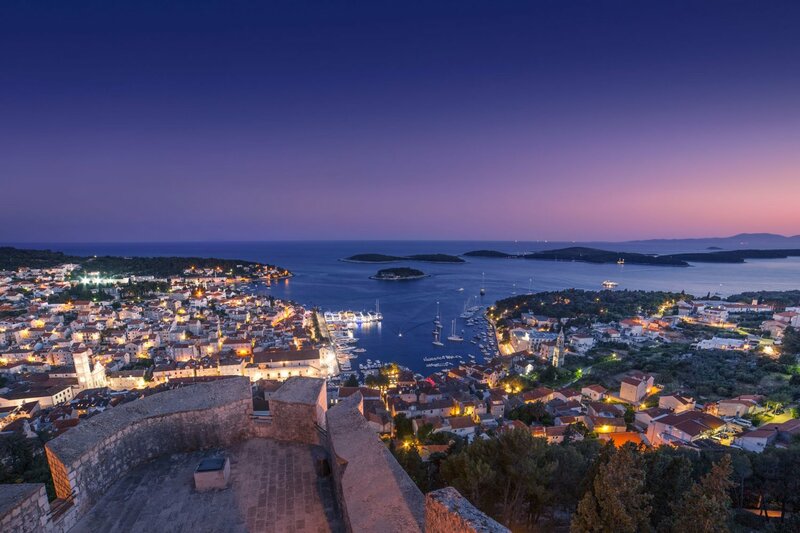 What to do in Hvar: For Hvar holidays simply embrace the nightlife, peruse the luxury yachts and discover the islands lovely beaches. For an exciting day trip, visit the local Pakleni islands or discover the renaissance architecture of Sari Grad. 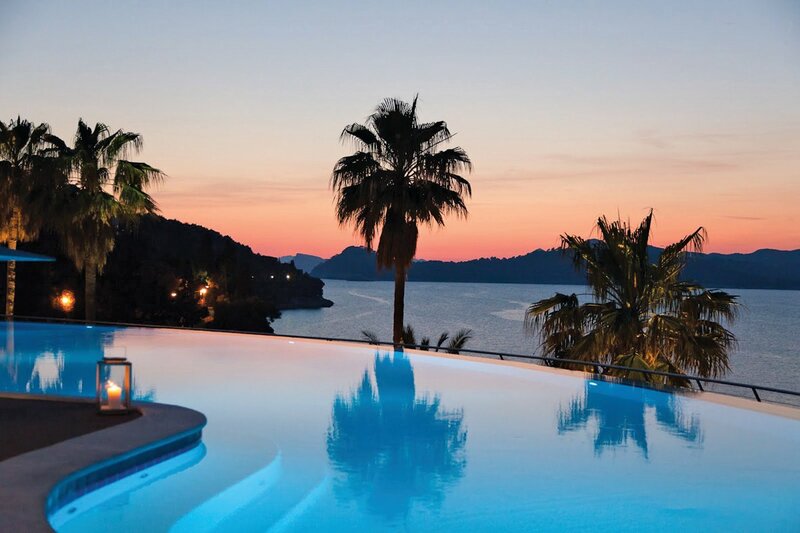 Where to stay in Hvar: Just a 10 minute walk from Hvar city the Amfora Grand Beach Resort is a fantastic base for exploring the island with excellent facilities to lay back and relax. 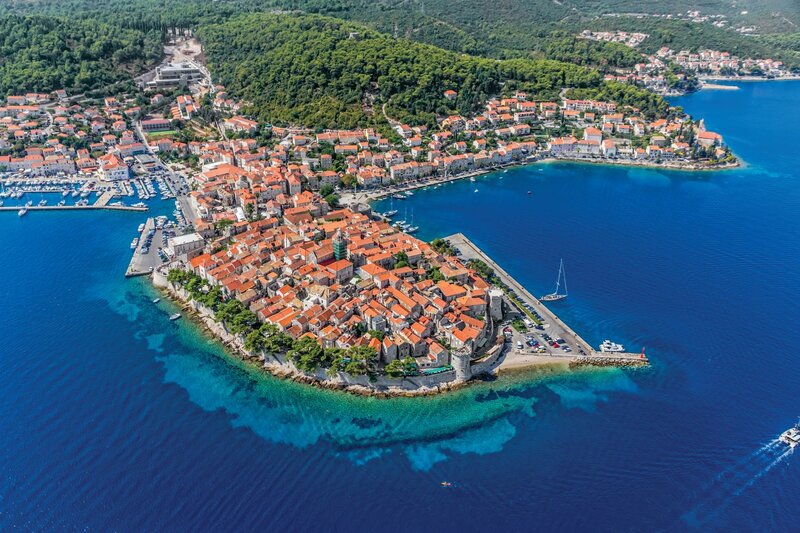 An historian’s dream, Korcula claims to be the birth place of Marco Polo. Art and history lovers say hello to Gothic-renaissance architecture. Often nicknamed ‘Little Dubrovnik’ the old town (just like Dubrovnik) is packed on to a peninsular. The name translates to ‘Dark Corfu’ named by the Greeks for its enchanting tangled woods and similarity to Corfu. Korcula is also well known for its own crisp white wine made from the Posip grape. Best Time to visit Korcula: July and August may be the hottest but temperatures can soar up to 40°C. For those coming to explore, April and October will be cooler and quieter. What to do in Korcula: On Korcula holidays you can visit the Marco Polo house and museum, indulge in local wine tasting or simply relax on the islands beaches. Where to stay in Korcula: With the most stunning views on the island, Hotel Liburna is just a 10 minute walk from the old town with its own pebble beach. The Elaphiti islands are an archipelego connected to Dubrovnik by ferries taking between 30 and 50 minutes. The islands are an ideal escape from the bustle of Dubrovnik and can be visited on day trips or as a quiet base away from the city. Sipan Island boasts lush unspoilt landscapes and one of Croatia’s rare sandy beaches. Traffic free Lopud Island holds some of Croatia’s best beaches including Sunj Bay. Best Time to Visit Elaphiti Islands: The best time to visit is between April and October where days are long and warm and ferry times are most frequent. What to do on the Elaphiti Islands: As well as hopping between the islands on boat trips you can explore its many beaches, including the famous Sunj Bay. Sunsets, picnics, walking and swimming are favoured activities on these beautiful islands. 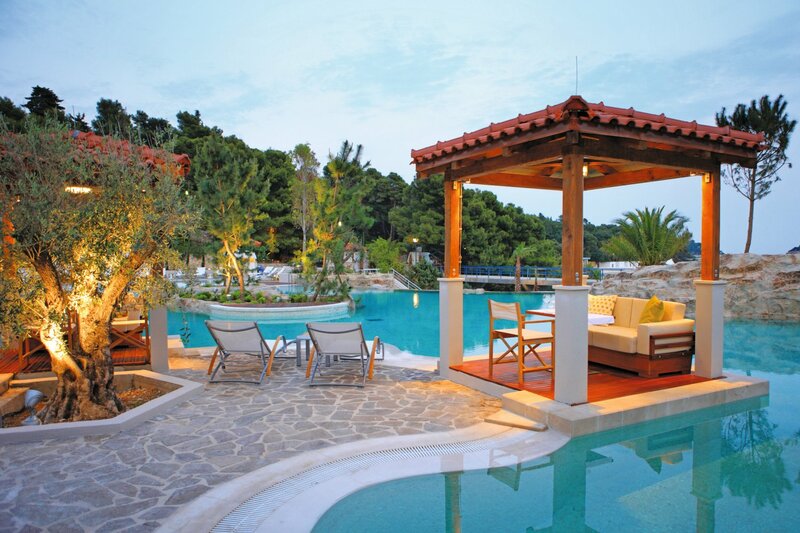 Where to stay in Elaphiti: On the island of Lopud the Lafodia Sea Resort enjoys the islands best sunsets. For Sipan the Hotel Sipan is an ideal base for exploring the island. (Insert gushing adjectives of verdant beauty here). 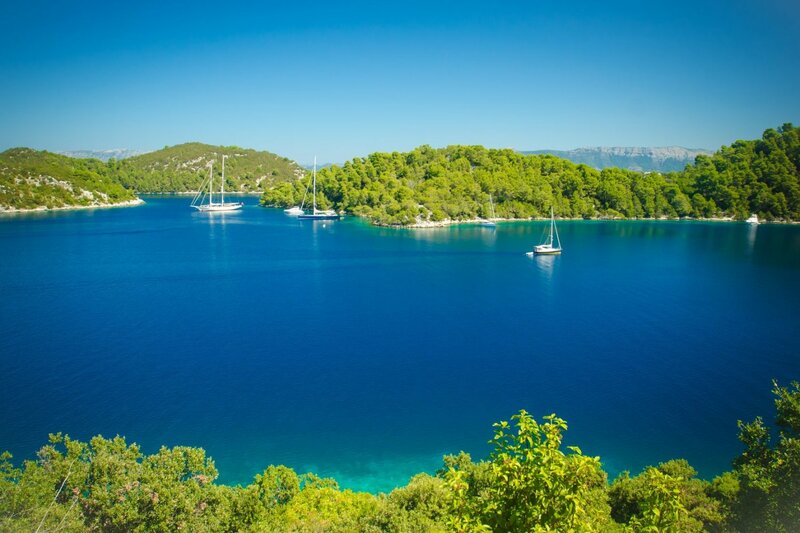 Nature lovers, avid walkers and those in search of peace and quiet, Mljet is for you. Scarcely populated the island is mainly visited on day trips. Pack your picnic, pop on your trainers and wander aimlessly around the stunning national park. There are 2 saltwater lakes (Veliko and Malo Jezero) which welcome rare species of wildlife and colourful flowers. According to legend Odysseus holed up here for 7 years with the nymph Calypso… and its easy to see why. Best time to visit Mljet: As a quiet island you’ll scarcely see another soul, so any visits between April and October are highly pleasant. What to do in Mljet: Take a picnic and walk the empty paths, visit Veliko and Malo Jezero, Mljets 2 saltwater lakes. You can easily hire a bike or simply take your shoes off and dip in the silver blue water of the surrounding Adriatic. 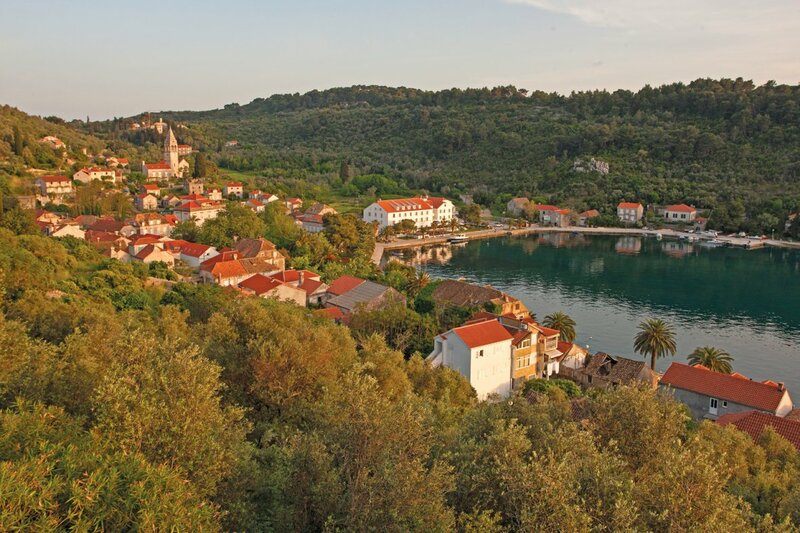 Where to stay in Mljet: The island is best experienced on a day trip as it is quite remote. The M/S Captain Bota Cruise stops of in Mljet as well as hopping several other Croatian Islands within the comfort of your own cabin. Home to Croatia’s most famous beach ‘Zlatni Rat’, Brac is a 50 minutes ferry journey from Split. The island boasts gorgeous pine fringed beaches, isolated bays and the highest peak of the Croatian islands (Vidova Gora 778m). Its many towns have delightful cobbled streets, romantic squares and an indulgent selection of bars and restaurants. The island also has a rich history with evidence of Neolithic inhabitants. Additionally the island boasts a flourishing olive industry with divine olive oil unique to the region. Best time to visit Brac: Due to its popularity July and August can be on the crowded side. May, June and September are sublime, with warm waters and long days. What to do in Brac: Holidays to Brac must include a visit to Zlatni Rat where you can relax for the day, enjoy your favourite watersports or discover the local town of Bol. The large town of Supetar also has some stunning taverns and restaurants. Where to stay in Brac: Nestled amidst fragrant greenery Hotel Amor enjoys a peaceful location just 100m from Supetar centre and the islands longest beach. Read our post for the best time to visit Croatia for tips on when to travel. Or, to include your Croatian Island adventure within a multi-centre itinerary, take a look at our Croatian multi-centre holidays. To discuss you new Croatian adventure speak to our holiday specialists on 0800 047 1066. For more hotels and destinations visit our website.